The list of file extensions associated with Act! Found 49 file extension associations related to Act! 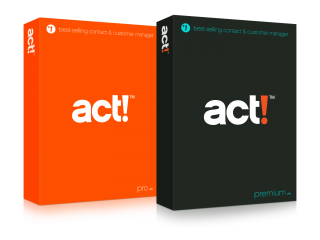 and 46 file formats developed specifically for use with Act!. Act! is a well known contact and customer manager that helps you organize contact information, manage daily responsibilities, and communicate more effectively to improve your productivity. ACT! integrates with everyday tools like Microsoft Outlook, Word, and Excel. It is very easy to learn and use. Organize all the details of your customer relationships in one place. Improve your marketing effectiveness to attract new customers and get more from existing relationships. Take action on your most qualified sales leads with total visibility and control of your pipeline. Common file extensions used by Act! Other file extensions associated with Act! If you need more information please contact the developers of Act! (The Sage Group plc), or check out their product website.